The Golden Razor was established in the same vicinity about 50 years ago. In that amount of time, the faces of the staff have changed a lot. Thankfully, so have hair fashions! Fashions come and go, but style always stands out. Our highly experienced staff, consistently deliver quality haircutting skills, to help you manage the look you desire. Quite simply, your style is cut in, not forced in! We offer hair designing for men, women, and children of all ages. Being licensed barbers, we offer clipper cutting, razor cutting, and of course flattops! Why a Barber Salon? Because we also offer perms, hair color, and highlighting. Each of our stylists offer different services, so just ask us and we will be glad to help! Appointments are preferred, but feel free to just drop in. We keep the coffee pot on all day. And we have magazines and a newspaper handy if you need to wait a few minutes. We also offer free Wi-Fi! 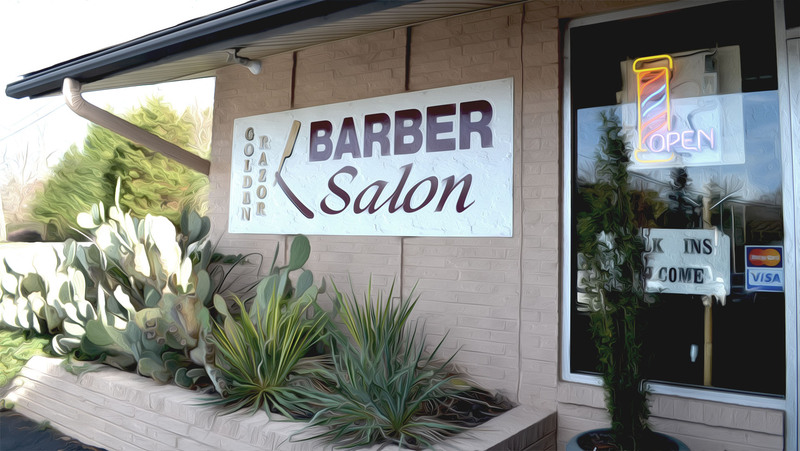 If you have been in the Greenville area for a little while, chances are you know someone who gets their hair cut at the Golden Razor Barber Salon. Isn`t it time that you did? Kevin Mullen has been cutting hair since 1975 and is a native of Greenville. 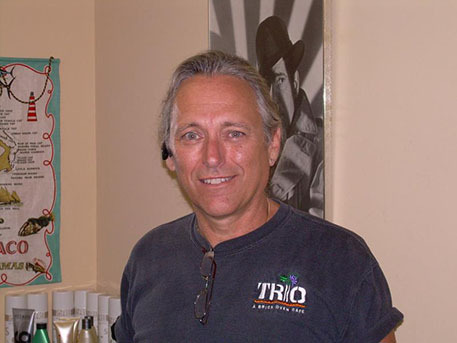 Specializing in mens haircutting, he is the owner of the Golden Razor since 1981. Somewhat of the "Class Clown" of the shop, Kevin is quite the entertainer...... there is always a story to tell.
" It just like the Bible says..if you fail to plan, you plan to fail." " It just like the Bible says... liar, liar pants on fire..."
Bob Tesnear has been in the barber business for 38 years. He was a Markham system educator for 12 years traveling throughout the southeast training other barber and hairstylists in the Markham system. Bob specializes in mens haircuts and styling and is also a licensed barber instructor in South Carolina. A native of Pelzer, SC, Bob is married to wife Sara, and has 2 sons, 1 daughter and 8 grandchildren. 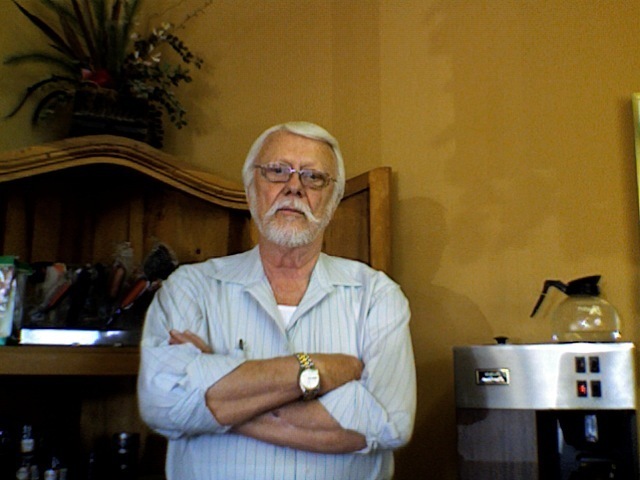 Herbie Foster is a native of Travelers Rest, SC and has been a hairstylist since the late 70's. He specializes in women's cutting, styling and color as well as mens cuts. He enjoys traveling to the Caribbean and spending time with his dog Max. Herbie has a GREAT EYE for color. 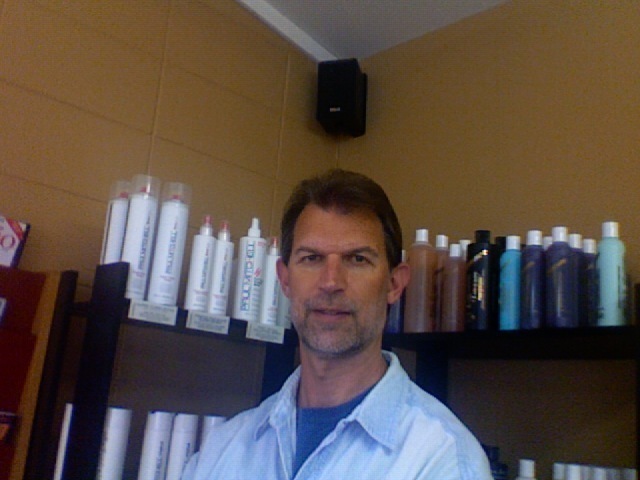 With over 25 years in the business he can help you find the right color to enhance your natural beauty. We currently have booths available for rent. Please Contact Kevin at ext. 2 for details.